You'll be £25.00 closer to your next £10.00 credit when you purchase Orde Wingate - Unconventional Warrior. What's this? Major General Orde Wingate (1903-1944) was the most controversial British military commander of the Second World War, and perhaps of the last hundred years. He splits opinion among soldiers, academics and writers seven decades after his death. His exploits in Ethiopia and Burma, in particular his creation of the Chindits, special forces who were trained to use guerrilla tactics behind the Japanese lines, have made him into a key figure in the history of irregular warfare. But, as Simon Anglim reveals in this thought-provoking and insightful study, myths and misunderstandings tend to cloud understanding of Wingate's career, and he seeks to put the record straight. He bases his work on a major study of Wingate's official and private papers, and those of his contemporaries, and he aims to provide the definitive guide to Wingate as a military commander. Wingate is probably one of the most controversial commanders of the Second World War and splits opinions among soldiers, historians and academics alike. His exploits in Ethiopia and Burma, in particular the formation of the Chindits - the special forces who were trained to use guerrilla tactics behind enemy lines - have served to make him a key figure in the history of irregular warfare. This is a thought-provoking insight into the man and commander, looking into the myths and misunderstandings surrounding him. The author strives to provide a definitive guide to Wingate using personal papers both private and official. The book proves that rather than simply being seen as a maverick he was one of a large group of officers who had and developed different ideas on how the Army should adapt from policing the Empire to operating against the organised armies of the great powers of the time. A thought-provoking, well written work. As seen in the SIRS Consultancy journal. 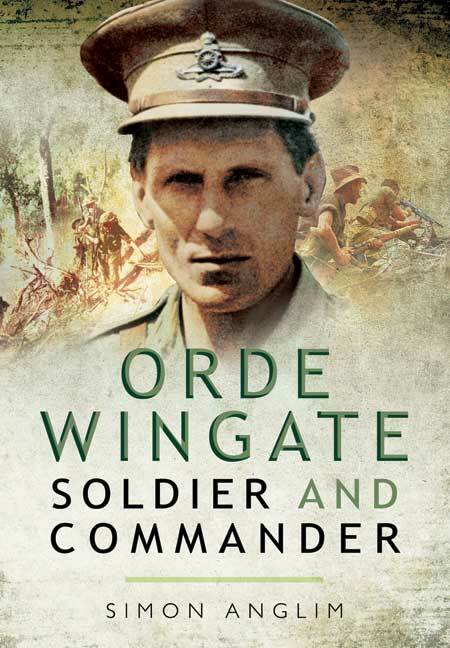 This is the best biography of Orde Wingate that I have read to date. But before I start to expatiate about its excellence, be warned: this is not an easy read. The author has based his book on primary sources, some of which were not available to previous biographers, and has clearly done his research very thoroughly indeed. Just occasionally the book reads like a PhD thesis; so dense are the thickets of facts that we have to negotiate. Even so, this is likely to become the standard biography of Orde Wingate for years to come, so buy it. As seen in the Surrey Advertiser. Dr Simon Anglim is a Teaching Fellow in the Department of War Studies at King’s College, London. He has previously co-authored Fighting Techniques of the Ancient World and has published an officially endorsed history of the Royal Army Education Corps in the Gulf War of 1990-1, as well as numerous papers and articles on the historical development of insurgency, counter-insurgency and covert operations, and the strategic use of special forces.